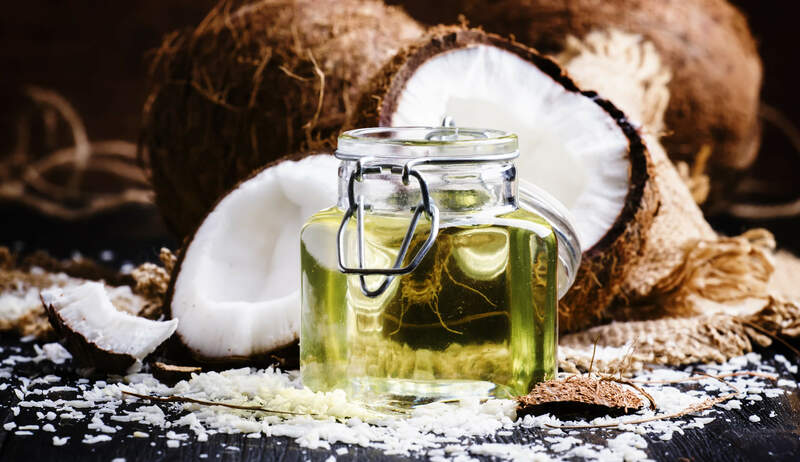 Coconut oil has been a much buzzed about superfood for years now, with proponents touting everything from its nutritional benefits to its hair and skin perks, to its ability to promote healthy body composition. While acknowledging that no single superfood can function as a quick catch-all miracle remedy, it’s true that coconut oil has gained its shining reputation for good reason. Here we’ve rounded up a back-to-basics guide to coconut oil: how to use it, who should be using it, and how not to use it. How Do I Pick the Best Coconut Oil? There are a few different types of coconut oil out there, and you need to be choosy about the kind you select. First rule of thumb is to always read the ingredients. One of the first breakdowns is organic versus non-organic. Non-organic coconut oil is produced using coconuts that were grown using pesticides, antibiotics and bioengineering. Residual chemicals have been found in trace amounts in non-organic coconut oil, so if you’re going to be applying the oil to your face or ingesting it daily, stick with organic. The next thing to look out for is refined versus unrefined. Refined coconut oil has undergone a process to remove its flavor and aroma, and is produced from dried (rather than fresh) coconut meat. This refinement process typically consists of bleaching and deodorizing the coconut using a variety of chemicals and solvents. This does two things: it leaves residual solvents in the final product, and also kills off some of the nutritional benefits of the original whole unprocessed fruit. Unrefined coconut oil, or “raw” coconut oil, is made from fresh coconut meat, and isn’t processed with chemicals or high heat. Because of this it retains its “coconutty” flavor and aroma, which, if you’re applying it to your skin, means an added aromatherapeutic bonus. PRO TIP: when it comes to coconut oil, the terms “virgin” and “extra-virgin” can be used interchangeably. Both simply refer to oil that is unrefined, and has been made from fresh, whole coconuts. The final thing to keep an eye out for is the extraction process used. Typically a label will say that coconut oil has been either cold pressed or expeller pressed. “Cold-pressed” refers to a process whereby the oil is extracted manually, without the use of high heat or solvents – because of this, the integrity of the naturally occuring fatty acids and enzymes in the original coconut are retained. “Expeller-pressed” refers to oil that has been processed using high-heat and pressure, and is usually employed for refined oils, in order to fully remove their coconutty oil and aroma. The takeaway? Look for labels that have the words organic, unrefined or raw, virgin or extra-virgin, and cold-pressed – or some combination of the above. Choosing these labels will ensure that the coconut oil you’re applying to your skin is chalk fun of naturally occuring phytonutrients and polyphenols found in coconut meat. Is Coconut Oil for Your Face, or for Your Body? The answer is that is can be used for both, but should be applied with slightly different considerations in mind. If you’re dealing with dryness and roughness on your body, coconut oil can be an excellent salve and moisturizer, which enhances and balances your natural lipid production, soothes flaking or redness, and protects skin from further chapping. Ultra dry areas like the knees and elbows can benefit from coconut oil, as can more active rashes, thanks to coconut oils antimicrobial and anti-inflammatory properties. 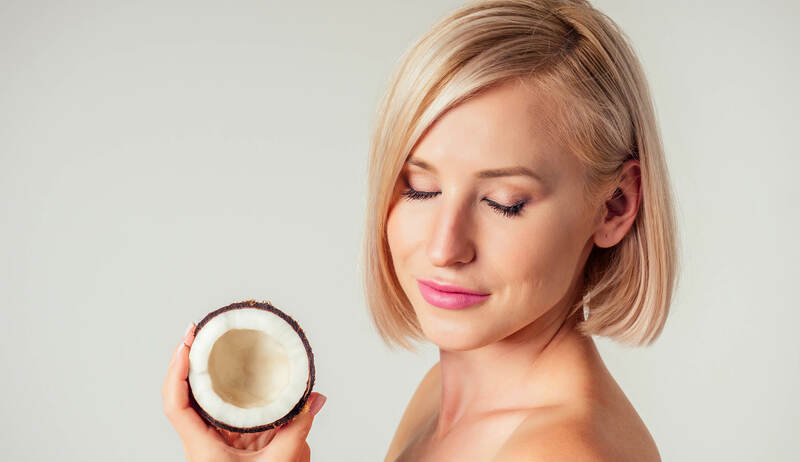 When it comes to treating extreme dryness on the face, coconut oil can be extremely helpful, but there are a few factors you need to keep in mind. Oftentimes, flaking and dryness on the face is the result of a combination of reduced lipids but also reduced H20 in your pores (dehydration refers to a lack of water in your epidermis). What this means is that if you simply apply coconut oil to your dry face, you aren't treating the underlying lack of water in your pores, you’re simply enhancing your skin’s protective barrier. The solution to this is to apply coconut oil to dry skin on the face in tandem with a plant based hydrant. At Puristry, one of our go-to hydrants is floral water, a plant-derived water-based humectant with trace amounts of essential oils. The other is aloe vera water, a soothing hydrant with calming and cooling properties. In several of our formulas, like our Vine Therapy Serum and Seaberry Moisturizer, we combine water-based hydrants (in both of these formulas its organic aloe water) with coconut oil, simultaneously nourishing the lipiding barrier while also treating dehydration. A similar combination can be found in our ultra effective Yerba Mate Eye Cream, which adds coconut oil into a base of yerba-mate water, to simultaneously promote hydration and elasticity in the fragile eye area. Another point of confusion around coconut oil has to do with acne. Is coconut oil comedogenic? The short answer is that it depends. While some people report an increase in comedones when applying coconut oil as a moisturizer, it’s also the case that coconut oil can be extremely effective for skin types dealing with acne. Because of its antimicrobial effects, it works in the same way as anti-acne antibiotics, plus it has the added benefit of improving collagen cross-linking, meaning that it’s an effective remedy for those battle with acne and aging skin simultaneously. If you’re dealing with serious sebum overproduction, try using coconut oil as a cleanser, rather than as a moisturizer. The principle of “like dissolves like” means that it will actually reduce oil and sebum buildup in your pores, leaving you with a balanced complexion and healthy lipid barrier. Ultimately, a variety of skin-types can benefit from coconut oil. Those dealing with clinical dryness should apply it as a final step moisturizer over a hydrant, or in tandem with other plant-based humectants. Acne sufferers can use it as an antimicrobial spot treatment, an ultra-effective oil cleanser, or as a quick fix mask for combination skin. And aging skin can vastly benefit from coconut oil, thanks to its ability to stimulate collagen production and prevent oxidative damage. For more information on coconut for health and skin care, check out our deep dive on all things Coconut Oil!